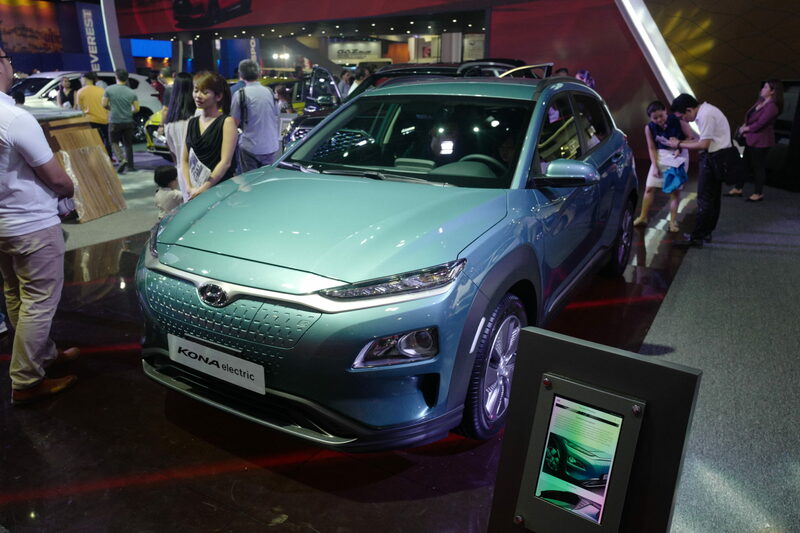 Hyundai Asia Resources Inc. (HARI), the official distributor of Hyundai vehicles in the Philippines, launched the 2020 Hyundai Kona Electric at this year’s Manila International Auto Show. 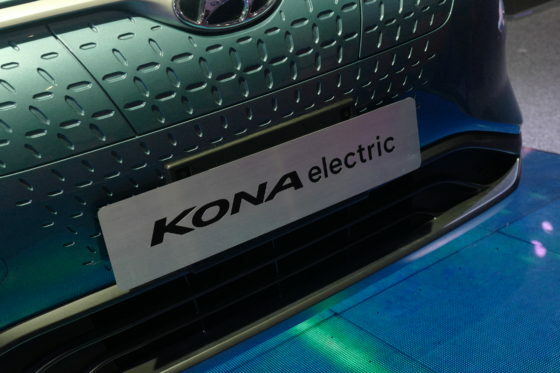 Deviating from the conventional model’s 1.6-liter, 4-cylinder gasoline engine, the Kona Electric packs a permanent-magnet synchronous electric motor that puts out 201 hp of power and 290 lb-ft of torque through the front wheels with a single-speed transmission. 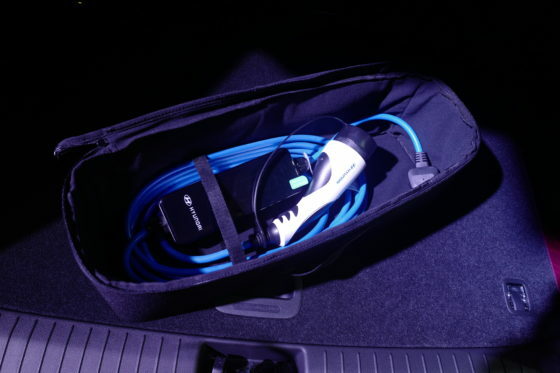 Claimed to have a maximum range of 400 km, the Kona Electric’s lithium-ion battery sounds promising for a daily driver. At first glance, the Kona Electric is aesthetically unmistakable with a closed-off front grille. Hidden behind this semblance of a grille is the charging port. The Kona Electric also dressed with uniquely-designed 17-inch alloy wheels that scream EV. Such details were incorporated in the EV without losing the design identity of a Kona. Hyundai didn’t fall short in equipping the Kona Electric inside as the futuristic theme persists beyond the motor and exterior. Replacing the conventional shifter are push-button transmission controls. Smartphones can be charged wirelessly, and a 7-inch TFT display that has Android Auto and Apple CarPlay support for entertainment. With regard to safety, the Kona Electric boasts six airbags — front, side and curtain — throughout the cabin. 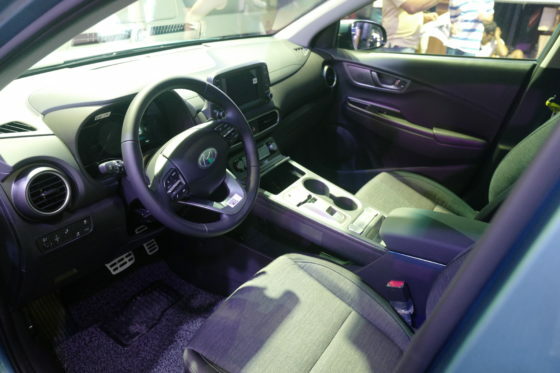 Other features include reverse parking assist system, blind spot detection, cruise control, tire pressure monitoring system, and an electronic parking brake. The Hyundai Kona Electric is priced at PhP 2,388,000.